The old lady who comes for Thanksgiving dinner has brought a mouthwatering pie...and a monstrous appetite! This ravenous relative doesn't even make it to the table before she has swallowed her own offering, then everything else being planned for dinner, too! 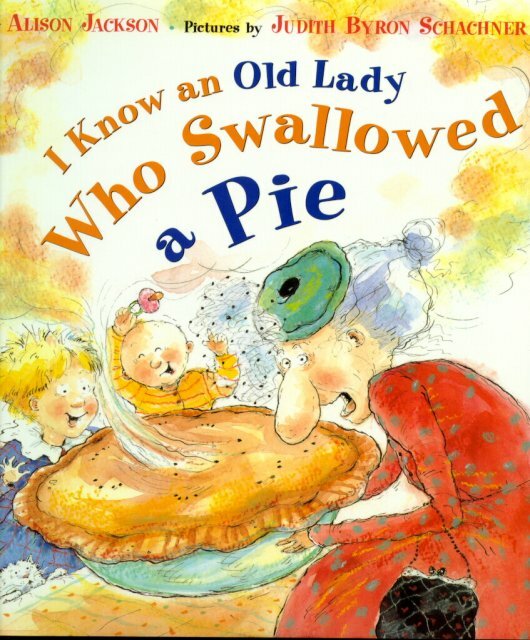 A humorous take off on the old nursery rhyme, "I Know an Old Lady Who Swallowed a Fly", Alison Jackson and Judith Byron Schachner have combined to create a great holiday favorite. This is, just as its title will suggest to the alert reader, not the original version but an amusingly successful variation. A clever play on the favorite rhyme with a fittingly outrageous ending.